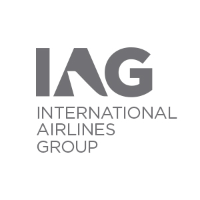 Shares in International Consolidated Airlns Grp SA with EPIC code: LON:IAG has declined -3.75% or -24.2 points throughout the session so far. Sellers have not remained optimistic throughout the trading session. The periods high has reached 627.2 dropping as low as 614.6. The total volume traded so far comes to 8,545,560 with the daily average traded share volume around 5,819,603. The stock 52 week high is 727 which comes in at 82 points difference from the previous close and the 52 week low at 547 which is a difference of 98 points. International Consolidated Airlns Grp SA now has a 20 SMA at 658.38 and now a 50 day moving average now of 635.58. The current market cap is £12,312.39m at the time of this report. Share price is traded in GBX. Mcap is measured in GBP. This article was written with the last trade for International Consolidated Airlns Grp SA being recorded at Tuesday, February 26, 2019 at 11:59:42 AM GMT with the stock price trading at 620.8 GBX. Shares of INTERCONTINENTAL HOTELS GROUP Common Stock ticker lookup code: LON:IHG has stepped down -1.59% or -74.5 points during today’s session so far. Market sellers did not seem confident during the trading session. The periods high figure was 4687.5 dropping as low as 4609.5. The total volume of shares exchanged through this period comes to 68,233 with the daily average number around 579,398. The stock 52 week high is 5050 which is 358 points difference from the previous days close and the 52 week low at 3850 making a difference of 842 points. INTERCONTINENTAL HOTELS GROUP Common Stock has a 20 day moving average of 4551.78 with a 50 day moving average now at 4478.21. This puts the market cap at £8,368.39m at the time of this report. The currency for this stock is Great British pence.Market cap is measured in GBP. This article was written with the last trade for INTERCONTINENTAL HOTELS GROUP Common Stock being recorded at Tuesday, February 26, 2019 at 11:59:24 AM GMT with the stock price trading at 4619 GBX. The share price for Royal Dutch Shell Plc ticker lookup code: LON:RDSA has dropped -1.55% or -38 points throughout the session so far. Sellers did not seem confident while the stock has been in play. Range high for the period has seen 2373.5 and a low of 2348.5. The number of shares traded by this point in time totalled 24,150,827 whilst the average number of shares exchanged is 9,906,099. A 52 week high for the stock is 2755 which is 364.5 points difference from the previous days close and the 52 week low at 2168.5 which is a difference of 222 points. Royal Dutch Shell Plc now has a 20 simple moving average of 2419.7 with a 50 day simple moving average now of 2372.53. The current market capitalisation is £224,236.84m at the time of this report. All share prices mentioned for this stock are traded in GBX. Mcap is measured in GBP. This article was written with the last trade for Royal Dutch Shell Plc being recorded at Tuesday, February 26, 2019 at 12:02:08 PM GMT with the stock price trading at 2352.5 GBX. The share price for Unilever plc with EPIC code: LON:ULVR has decreased -1.7% or -70.5 points during today’s session so far. Investors were far from a positive bunch throughout the trading session. The period high has peaked at 4133.5 dropping as low as 4071.5. The total volume of shares exchanged so far has reached 700,475 while the daily average number of shares exchanged is 2,266,430. The 52 week high price for the shares is 4503.66 which is 347.16 points in difference to the previous days close of business and a 52 week low sitting at 3678.5 is a variance of 478 points. Unilever plc now has a 20 moving average of 4200.75 and a 50 day moving average of 4154.24. The current market cap is £118,467.73m at the time of this report. The currency for this stock is Great British pence.Market cap is measured in GBP. This article was written with the last trade for Unilever plc being recorded at Tuesday, February 26, 2019 at 11:59:49 AM GMT with the stock price trading at 4086 GBX. The stock price for Vodafone Group plc with ticker code: LON:VOD has declined -2.06% or -2.88 points in today’s trading session so far. Traders have so far given a mostly negative outlook during the trading session. The periods high figure was 138.48 and a low of 135.8. The volume total for shares traded up to this point was 33,339,396 with the daily average traded share volume around 78,119,006. A 52 week share price high is 214.6 which comes in at 75 points difference from the previous close and the 52 week low at 133.48 a difference of some 6.12 points. Vodafone Group plc has a 20 day moving average of 141.3 and now its 50 day moving average at 148.57. The market cap now stands at £36,537.47m at the time of this report. The share price is in Great British pence. Mcap is measured in GBP. 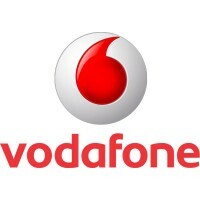 This article was written with the last trade for Vodafone Group plc being recorded at Tuesday, February 26, 2019 at 12:02:13 PM GMT with the stock price trading at 136.72 GBX. The share price for WPP PLC with ticker code: LON:WPP has decreased -1.31% or -11.2 points throughout the session so far. Traders have not remained optimistic throughout the trading session. The periods high has reached 852.8 meanwhile the session low reached 840.6. The amount of shares exchanged has so far reached 1,099,229 with the average number of shares traded daily being 3,678,966. The 52 week high price for the shares is 1401 about 546 points difference from the previous days close and putting the 52 week low at 791 which is a variance of 64 points. WPP PLC has a 20 day moving average of 858.92 and now the 50 day SMA of 869.96. This puts the market capitalisation now at £10,644.74m at the time of this report. The currency for this stock is Great British pence.Market cap is measured in GBP. This article was written with the last trade for WPP PLC being recorded at Tuesday, February 26, 2019 at 11:59:46 AM GMT with the stock price trading at 843.8 GBX. Click IAG IHG RDSA ULVR VOD WPP for the full archive.